Dima Disk - Fetty. Vinyl EP. Bleep. Super limited four track EP from Glasgow’s best electronic music powerhouse! With one half of Dima Disk living in the city for a number of years, it was a nice discovery for the Rubadub crew when they first heard the duos music and went off to investigate. 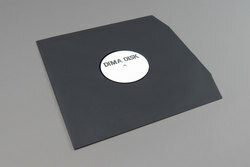 Dima Disk recently dropped a killer 12” on Estonian label Porridge Bullet and their tracks have been featured in Palace skate videos but these club ready cuts are the one for us. Super dusty, Rezzett style house and techno tracks with dark, twisted percussion grooves leading you all the way. Just check ‘Fetty’!